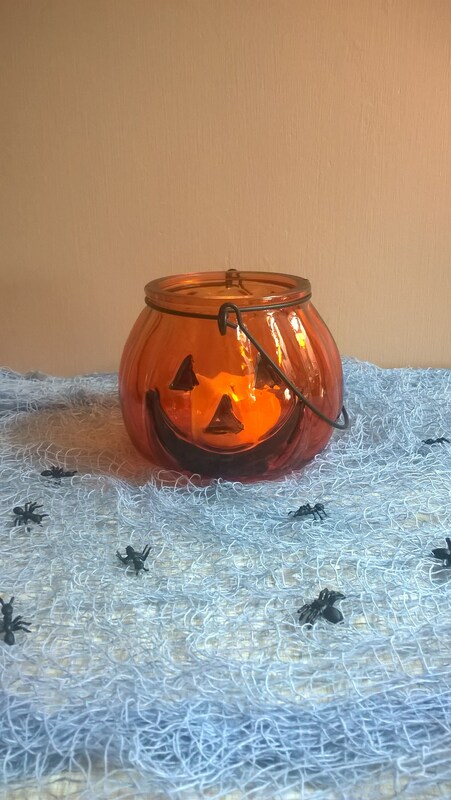 This cute glass pumpkin tea light holder would look ideal on a mantle piece or placed on a table. It features a black metal hanger and spooky painted face. Please note that tea lights are not included.